Wasssuppppp people!!! I am currently in Singapore. Yes i've arrived safely, and for those of you who are SHOCKED that i'm in Singapore... oh well yea! It was an impromptu trip! Juz one of those trip that i just felt like going to... thought about it like on Monday and made my reservations for bus and hostel then and here i am!!! In the land of the Great Singapore Sale, where you can get up to 70% discounts from now till mid July!!! I will be updating my blog daily...from today onwards! Yes, i know it's kinda hard to believe, but hey... i gotta do what i gotta do lah! Since internet is not a problem here @ the place i'm staying... so i'll be online, it will be like as if i never left Malaysia! My journey started of with a 8am coach at Pasarrakyat on Transtar First Class Coach, check them out at http://transtar.com.sg - it's a 16 seater coach with massaging chair, games, 10" LCD personal screen and meals on board! (Anyways, that will be my 1st and last trip on a Transtar - i felt cheated!!! I was really expecting their new 3rd Gen double decker bus that i always see in the posters, magazines and sometimes on the road! But nahh...i think i got onboard their 1st Gen coach - the interior condition of the seats are quite bad and some functions on the seat are not working! Heck, they don't even have Hot Chocolate drink (my favourite!!! on Aeroline) onboard! How can they do that??? I mean, when i was on board Aeroline they served Breakfast and Brunch and lots of drinks throughout the journey! This bus didn't even have a toilet onboard! Anyways - will talk about the bus in a later post! 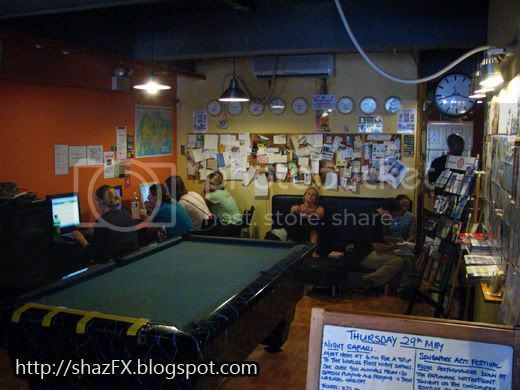 Finally arrived here in Singapore, took a cab to The Inn-Crowd Backpackers Hostel (the one that i've heard rave reviews about it and some really good comments and feedback!) It's situated in Little India on Dunlop Street, nearby to Little India MRT station and Bugis MRT and the famous Bugis Junction shopping mall! On Sunday night, i spent 6 hours online from 11pm - 5am in the morning doing research online about where should i stay in Singapore? Wanted to stay at my cousin's place...but nahh!!! wanted to book a hotel.... but come on SHAZ!!! Be adventurous a lil' bit... ok ok!!! So yea, i decided to try out "Backpacking" style! 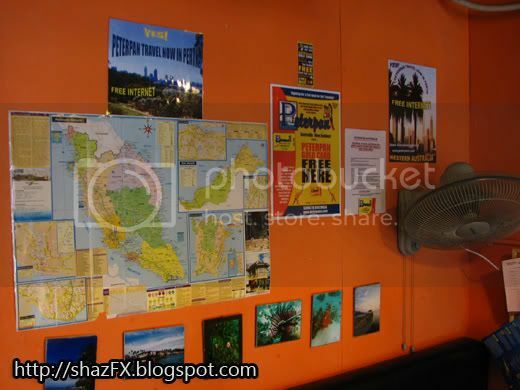 So yea.... did some research on a few backpackers hostel in Singapore, found out about the one at Bugis (that multicoloured building...), The Hive Backpackers Hostel and The Inn-Crowd Backpackers Hostel. After much research, reading comments, feedbacks, blog updates, facebook and all... i finally decided that The Inn-Crowd is my #1 Choice. Here i am @ The Inn-Crowd Backpackers Hostel - it's clean, its nice, its cozy, its homely, you have everything under one roof and it's far much better than staying in a hotel (apart from the privacy that you get) but hey, there's a lot of people here, if you're travelling alone - you'll definately not feel lonely!!! The crew-members here at The Inn-Crowd are very nice and will help you all the way, help you plan your day and trips here in Singapore! They're not just your usual people at the front counter / cashier / concierge... but they're your friend! Anyways, i'm going out to Little India in a bit, gonna grab a bite somewhere and meeting up with Ferina at Little India MRT to go to Orchard! (Oops... who is Ferina... hehehe, yea yea i haven't told you peeps about her eh! Aiyaa secret lor!). Check my blog daily for more updates!!! The living area of The Inn-Crowd Backpackers Hostel - oops! I left out the sofa beneath it! 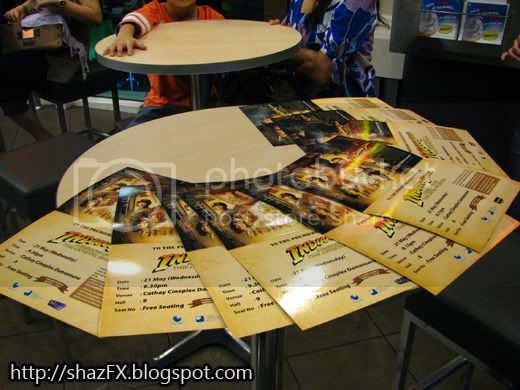 Anyways, last week i got 11 tickets to Indiana Jones Premier @ Cineleisure - The Curve. Invited 11 friends but about 4 peeps couldn't make it last minute! Anyways it was a really nice show! You guys ought to go out and watch it! Nigel...he's studying @ Purdue soon!!! 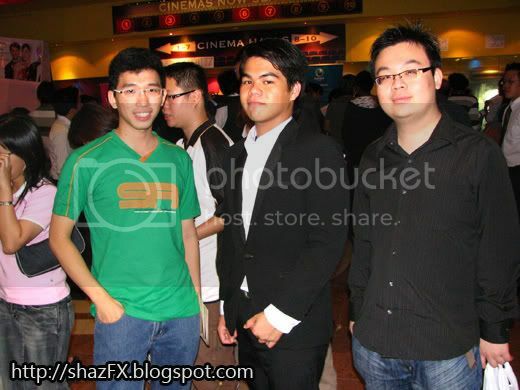 - Nathanael from MMU Cyberjaya working here tonight! Was surprised that he was here! William of Le Meridien KL...50% off on food yO!!! David, Henry and Nigel - yep.... i was still hungry after dinner! And we went to McD to eat MORE.